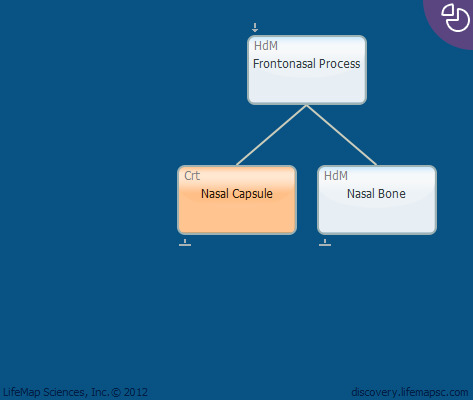 The nasal capsule contains the following cartilages (human): 1. lateral nasal cartilage. 2. septal cartilage. 3. minor/major alar cartilage and 4. vomeronasal cartilage.